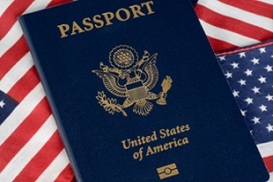 U.S. citizens carrying a tourist passport and in possession of an onward or return airline ticket do not require a visa to enter Thailand. The passport must have at least six months validity remaining to be allowed entry. Upon entry, Thai immigration officials will place an immigration stamp in the passport permitting a 30-day stay in Thailand if arriving by air or land. Visit: https://th.usembassy.gov/u-s-citizen-services/thai-visas-americans/ for more information.